It seems as if the brilliant podcast Serial never fails to make the news somehow – for good reason! This last Thursday, my students and I had the incredible opportunity to have a Skype Q&A session with Sarah Koenig, the amazing creator and host of the podcast. I’m not sure how he did it, but my high school English teacher colleague managed to find a personal connection who happened to work with Sarah at some point in their career. Within 24 hours of that contact, we were Skyping with the fantastic journalist. When I read the email from my colleague about the news, I knew I couldn’t miss the opportunity. The bad news was that I had a class exactly at the time in which the Q&A would take place. The good news is that I’m lucky enough to work at a school in which teachers are given much autonomy. So, I told my 7th Graders that there was a presentation from a major figure from the journalism world that I could not miss seeing. I let them loose at the ping pong tables while I had the privilege of watching and listening in. Most of the questions from the students for Sarah, for good reason, focused on the basics of Season One of Serial (they had listened to Season One in English class). What are her thoughts on Adnan as a human being? Does she think Adnan committed the crime? What inspired her to become a journalist? Me, personally – I couldn’t help but ask about her concerns, if any, about the state of journalism with the current political climate in the United States. She addressed my question with a very intricate, detailed answer. Essentially, she believes that the current administration has actually improved reporting by the media and has caused citizens to be more aware of the political climate. She stated that subscriptions to many media outlets have actually increased as a result. I would know as I myself subscribed to various outlets in recent months – which brings me to the point of this blog. 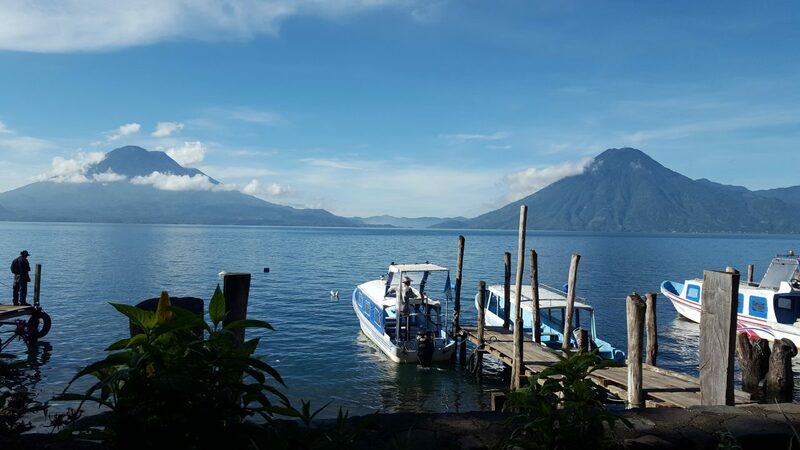 Something about the combination of living in Guatemala, an incredibly impoverished country with one of the largest income gaps in Latin America, and the current politics of the United States has inspired me to incorporate elements of currents events in my curriculum. Now, keep in mind I have a lot of freedom in my current position. And I count my lucky stars for this reason. Yet, I firmly believe that so much of the disengagement seen in students is because of a lack of connections. Students should be presented opportunities in which they can connect the content to their personal lives. Current events is crucial to make this happen. For example, as I currently work on a forensics project with my students, similarly we recently discussed the neurological effects of solitary confinement in prisons. We did so by examining the case of Kalief Browder and reading the first published story about the then-teenager. In this case, I was sure to emphasize the point that Kalief Browder was only 16 years old when he was arrested and subsequently spent 3 years at Riker’s Island without having been convicted of a crime. This really stuck with them. They could never in a million years imagine themselves, the same age as Kalief, being put in the same situation. I’ve yet to observe so much emotion and passion from my students as I saw when I read them Jennifer Gonnerman’s piece. These types of connections give students an incredible perspective of the world and how it can affect their personal lives. All this being said, journalism, I think, is crucial for educating the youth with authentic, meaningful learning. I highly recommend doing anything you can to incorporate these journalistic elements into your curriculum. An excellent place to get started is with The New York Times’ The Learning Network. Regardless of what you do or what your teaching philosophy is, I think we can all agree to be passionate, be aware, be educated, and be open minded. 3D printing my students' redesigned ice cube "tray". Stayed tuned for the final product soon! With the kick off of the NCAA tournament today and tomorrow, I'd like to share this highly relevant math activity. The tournament bracket perfectly demonstrates the concept of exponential decay and this activity engages students in just that. Available in my TPT store! Link in bio. Stay current with Mr. Noondi!